Seeds of Change has organic seeds to help get your organic garden started. 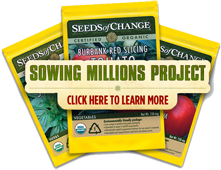 Check out their Sowing Millions Project to sign up for 25 seed packets, including vegetables, herbs, and flowers, all for just $4.99 shipped. Check out all the details and sign up here. Today Dell Home has a great deal on McAfee Internet Security 2011. Protect 3 PCs/laptops for one low price of $5 with FREE SHIPPING. If you're in need of a firewall and virus/malware protection, this is a great price! Go to Dell Home for this super deal! It's spring, and your fancy has possibly turned to... GRILLING! If you're looking for some new ideas for grilled food, check out this free e-cookbook from Mr. Food. Recipes include pizza, appetizers, veggies, chicken, turkey, and of course burgers! 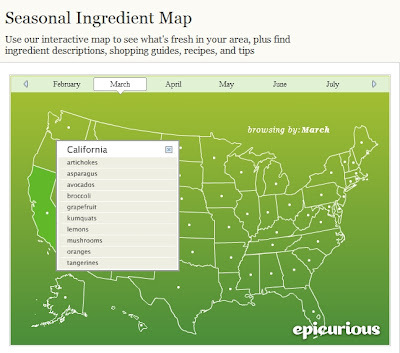 It even includes recipes for grilled peaches, a grilled banana split, and s'mores. Enjoy!